Established in the year 1945, "The Standard Pulp and Paper Factory" has emerged as an eminent manufacturer, exporter & supplier of standardized quality Filter Paper Products. Our range of products includes Filter Paper, Cellulose Filter Pad, Agriculture Pads, Filter Paper, etc. Filter Paper Packs used for filtering Chemical, Transformer Oil, Electroplating Solution, Oil Industries, Pharmaceutical, Distilleries and Breweries. We are regularly supplying our Filter Paper products to many renowned industries for last so many years to their entire satisfaction. Which is equipped with all the requisite paper and pads. This helps us develop our product line in strict compliance with the guidelines set by the industry. In-depth knowledge and rich experience of our employees about these products enable us to meet specific needs of the valuable customers. Under the leadership of our mentor Late "Mr. B. C. Gadgil" we have curved a niche in the market. Having the traditional family business of paper Manufacturing we have an immense industry experience of offering customer specific paper products. We exports our products in South East Asia, Africa. We have a team of skilled technocrats and quality experts that gives us the edge over the others. Our team members make sure that each process is undertaken keeping in mind the specification stated by the clients. They also make sure that the raw material used is of standard quality. Experts continuously supervise each task. We also have a team of people who interact who interact with our clients on regular basis to find out if they want any changes, these changes are then incorporated. We owe our success to dedicated team of Administrators, Engineers, Paper and Pulp experts, Technicians and skilled laborers. We have capacious warehouse where we store bulk amount of raw material and finished products. The warehouse is segregated into different sections where the different categories of Filter Paper & Pads are stored that eases the delivery process. Our packaging professionals use sturdy cartons and corrugated boxes to pack the manufactured filter Paper and Pads. The packing boxes are resistant to moisture, which act as a safeguard to protect the edges of our product. We have built an enviable position in the market by manufacturing and offering pure and chemical free Filter Paper and Pads. Adherence to environmental norms has enabled us to become a trusted name. Complete customer satisfaction is one of our main priorities & we never compromise regarding our client satisfaction. It is our business policy to deliver our best and take special care of client requirement & it can be possible by the competitive prices, performances, reliability we give to our client. 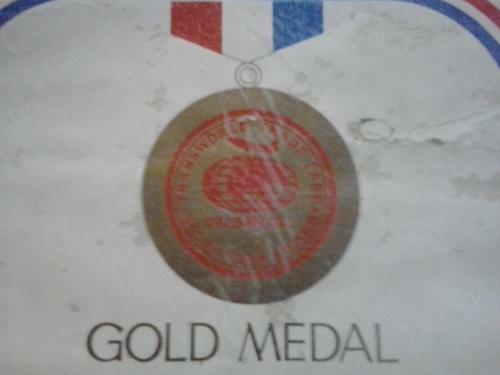 Awarded to the Management of M/s. The Standard Pulp and Paper Factory, Nashik the transworld tradefare selection award in the form of Government Approved Gold Medal in appreciation and recognition of their outstanding performance in Manufacturing Filter Paper and Filter Pads at 26th all India Hyderabad Session during the year 1981. 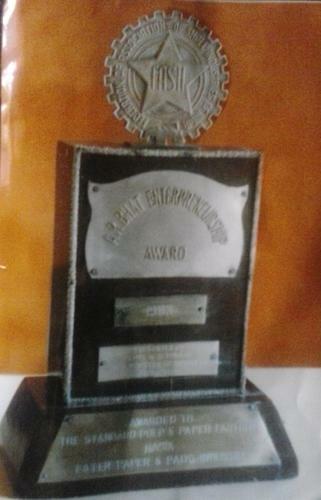 Awarded by A R Bhat Entrepreneurship Award - 1983. 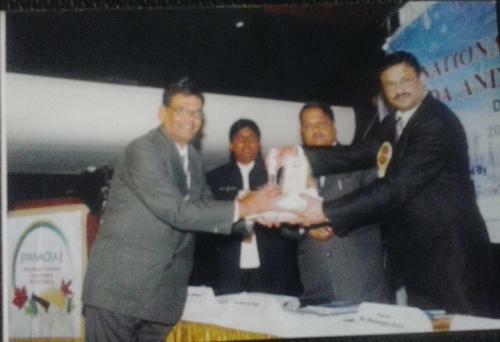 Participated in 4th PANACEA International Conference on Ayurved and Hoilstic Healing - Dubai 2010 and bagged PANACEA International Excellence Award in Ayurved - 2010 held in Dubain 20 th January 2010.